A summary of news about home lotteries in Saskatchewan. Links to the lottery’s searchable winner’s list are in our full article, as well a form to leave us any feedback you care to. Published on September 17, 2018 at 6:07 pm . Saskatoon, SK, September 18, 2018 — If you bought tickets in this summer’s Home Lottery supporting the Kinsmen Club of Saskatoon, and if you haven’t already checked your tickets, now is the time to do it! Continue on to the article for links to the winners lists. Published on May 17, 2018 at 12:00 am . REGINA, SK, May 17, 2018 — The final tickets have been drawn and lots of lucky winners are leaving with prizes including a $1.4 million showhome, brand new vehicles, exciting vacations, cash and more. Is your ticket one of them? See full article for details. Published on May 3, 2018 at 12:00 am . REGINA, SK, May 3, 2018 — Paradise awaits the Early Bird prize winner who just won a two-week trip to the Cayman Islands and a brand new set of wheels to top it all off. See full article for details. Published on April 26, 2018 at 12:00 am . REGINA, SK, April 26, 2018 — A dream home in The Creeks fit for a king or queen is ready to be claimed in the 2018 Hospitals of Regina Foundation Home Lottery, plus tons more exciting prizes including vehicles, vacations, and more. See full article for details. Published on February 1, 2018 at 11:01 am . REGINA, SK, January 31, 2018 — Just announced! With 1,005 prizes up for grabs and a Grand Prize home worth $1.4 million, these are some tickets you’ll want to get your hands on!See full article for details. Published on January 29, 2018 at 9:45 am . NORTH BATTLEFORD, SK, January 29, 2018 — Some lucky supporters of the BUH Foundation Monthly Lottery have started off 2018 with a bang and a pocket full of cash! These winners are $1,000, $600, $400, and $200 richer! Read on to find out who won. Published on January 17, 2018 at 12:00 am . SASKATCHEWAN, January 17, 2018 — If you haven’t already checked your tickets, now is the time to do it. Historically, the Saskatchewan STARS Lottery starts its annual fundraiser early in the year; you should check your tickets from the previous year’s lottery before the next one begins. We maintain our own list of the major prize winners for the 2017 Saskatchewan STARS Lottery for reference and research purposes, but want to remind our readers of the time frame to search the complete, official version. Our page also contains a direct link to the searchable list of the 2017 Saskatchewan STARS Lottery winners to make it easy for you. 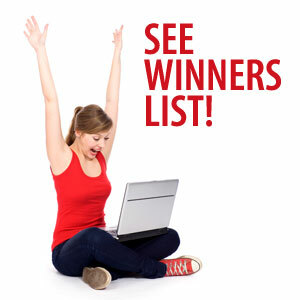 See the complete article for links to the list of major winner’s and direct links to the STARS Lottery winner’s page. Tickets are now on sale for the 2018 Saskatoon Hospital Home Lottery! Published on January 10, 2018 at 12:01 am . SASKATOON, SK, January 10, 2018 — You won’t believe the prizes up for grabs in the newest edition of the Saskatoon Hospital Home Lottery. The Grand Prize home is worth $1.7 million and is full of fun features. Tickets are on sale now, grab yours soon to make the Bonus Draw deadline- it could send you to all Seven Wonders of the World! See full article for details.